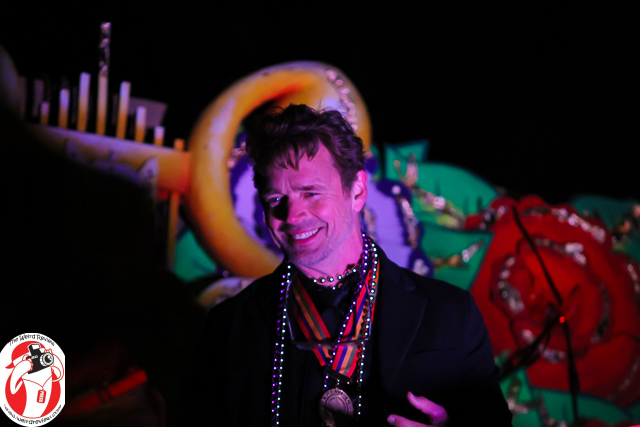 This week the Orpheus Krewe Honored John Schneider with a ride in the Orpheus parade Monday night March 3, 2014, even as he honored them with his presence. 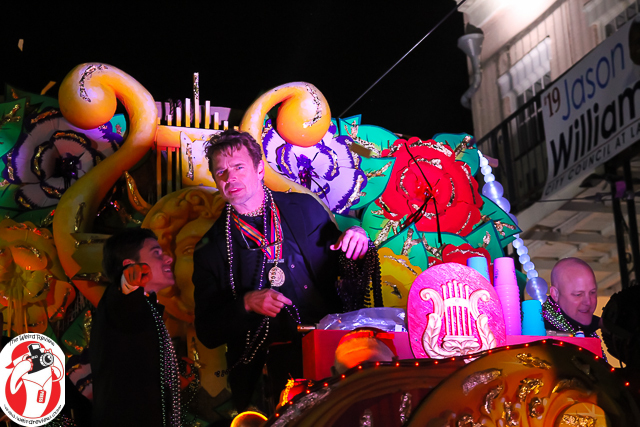 Sunday night he attended the Orpheus Captain’s Party leading up to the parade. 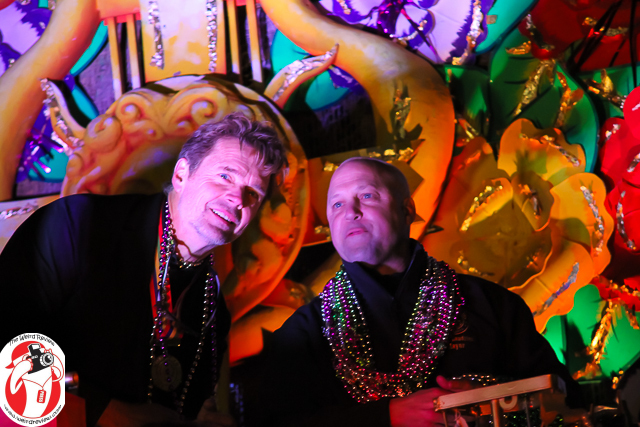 Monday night he was joined by New Orleans Mayor Mitch Landrieu on the float where they had fun throwing Mardi Gras treasures to the cheering crowd. While riding Mr. Schneider enjoyed interacting with the crowd as well as the other riders. At one point he tried playing “Cat’s Cradle ” with another rider. The other rider was clearly unfamiliar with the game and just stared at the bead necklace that was set up in the “Cat’s Cradle” starting position in Mr. Schneider’s hands. 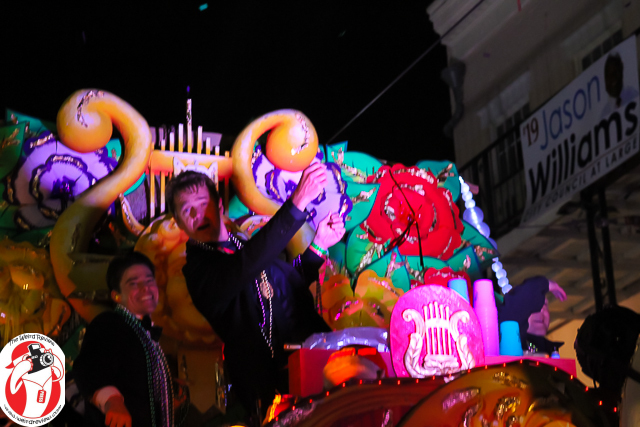 At another point on the ride the same rider pointed out the photographer’s presence to Mr. Schneider who then looked into the camera and tossed some beads. 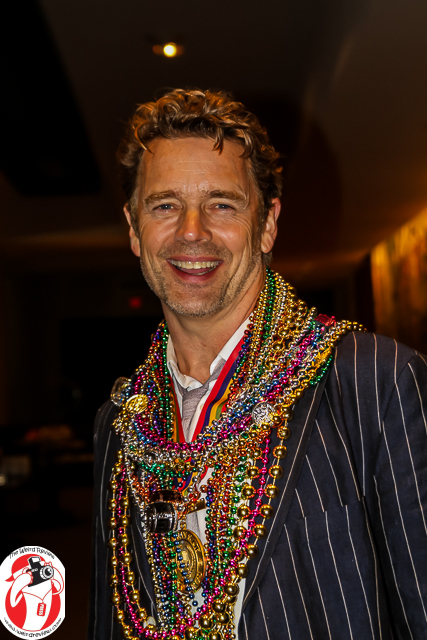 After ducking (the photographer had already been hit squarely in the groin by a bag of beads earlier in the festivities) he saw that it was a well intentioned toss meant to be a photo op and no harm intended.